Frogged: ripping apart a knitted or crocheted item. Rip-it, rip-it, rip-it…ribbit, ribbit, ribbit. 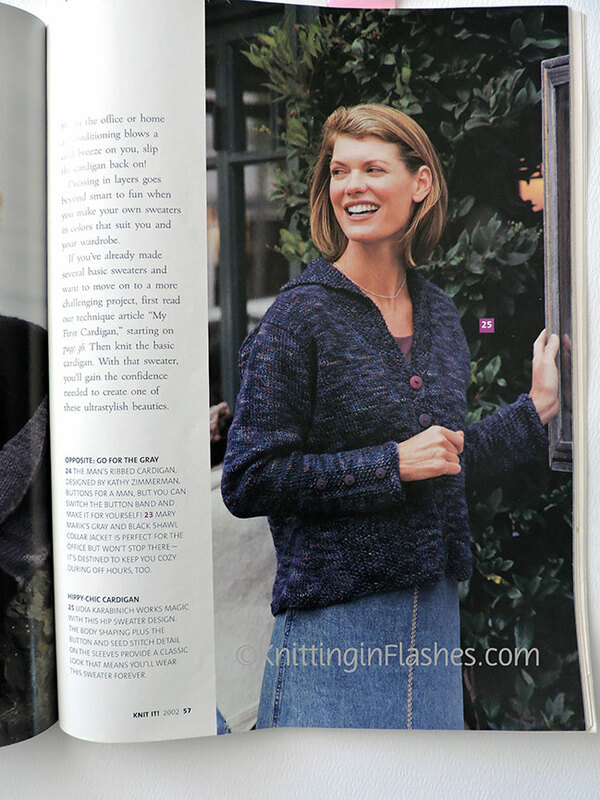 I blogged about this papaya sweater way back in 2011. Cute pattern but not for my body type. I love the yarn: Knit Picks Wool of the Andes in Papaya Heather. 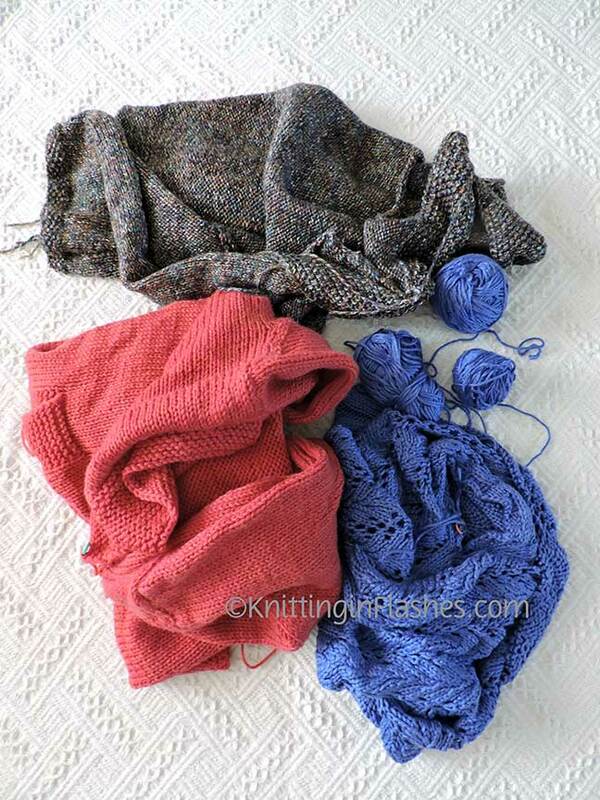 The frogged yarn might become this Shakespeare Cardigan. 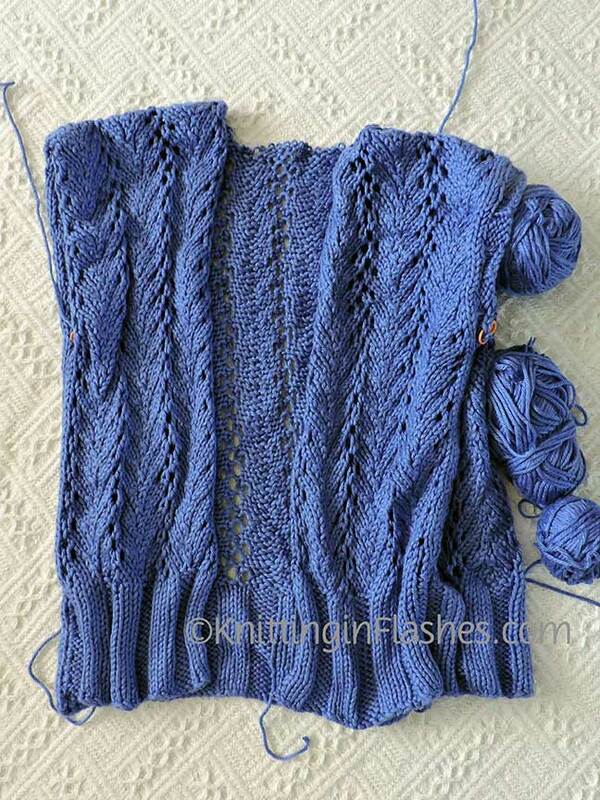 The Vine-Lace vest by Cecily Glowik MacDonald just didn’t do it for me. Knit Picks Shine. Nice soft yarn that doesn’t pill. No plan for the yarn yet. 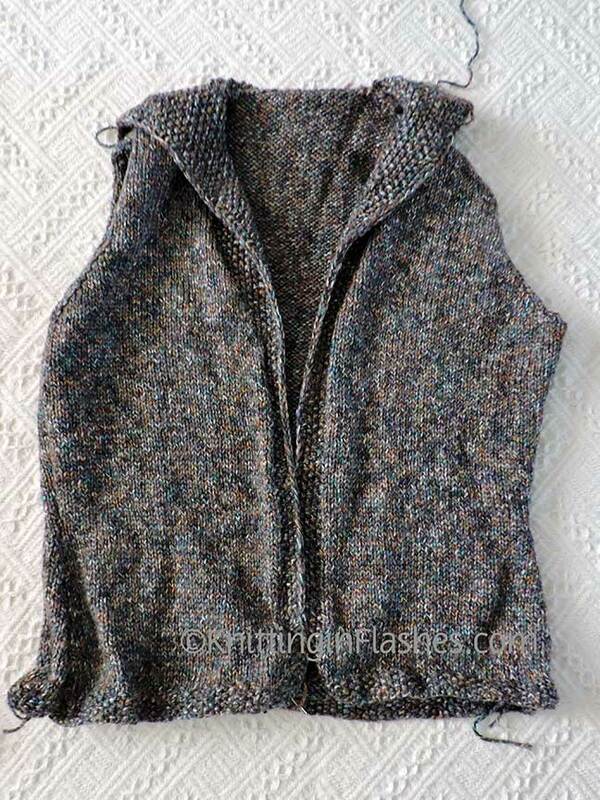 Next up: the Hippy Chic Cardigan: I loved this sweater (at the time) from Knit It! 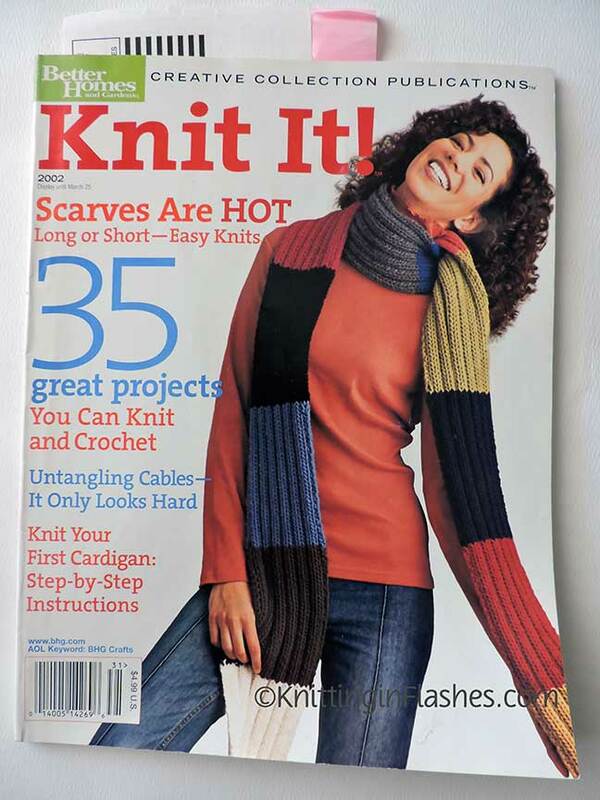 2002 and couldn’t get gauge but I started knitting it way, way back before I started blogging. Disaster from the get-go. Quite frankly I don’t like it now. It does have some waist shaping so it’s not a box and I like the collar. I think it’s the way it fits the model that I don’t like now. Never a fan of the Hi-Low look though I’m sure it’s not that style. It just looks that way. Red Heart Tweed in Charcoal. 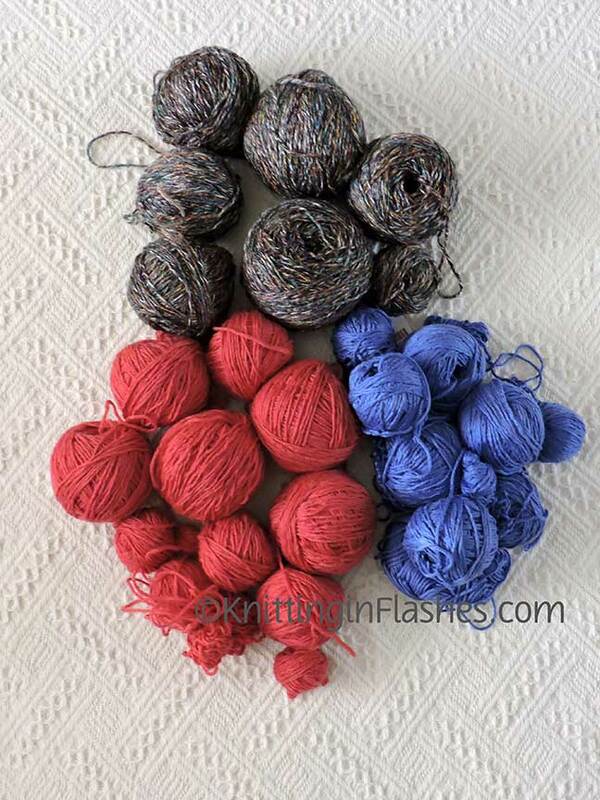 This is one way to add yarn to my stash without buying any. 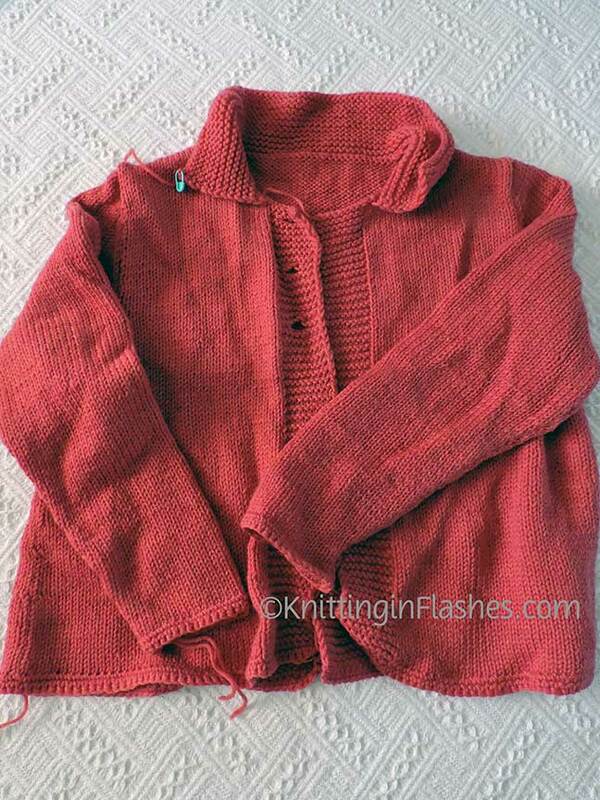 This entry was posted in knit, knitting, knitting pattern, sweater, yarn and tagged frogging, knit, knitting, ripping knitting, sweater, yarn by Patti_is_knittinginflashes. Bookmark the permalink.